Please be sure to read our sales policy if you have any questions about purchasing, shipping, VAT/duty costs, or returns. 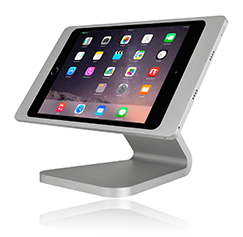 Looking for support for a specific iPad device? Click on the category below to reveal compatibility or click on the shop by device button below. The LaunchPort Rugged system includes everything you need to hold, charge and protect an iPad in a vehicle or rugged environment. Surface Mount for iPad Pro 10.5" Now Available to order.